The Gulf Petrochemical Industries Company (GPIC) has been licensed by the Ministry of Transport and Telecommunications’ Ports and Maritime Navigation Affairs Department to operate and manage the company’s export terminal. The two-year licence was officially handed over when GPIC president Dr Abdulrahman Jawahery received assistant undersecretary for Maritime Ports Affairs Bader Houd Al Mahmoud, said a statement. Members of GPIC executive management, officials of departments and ports and maritime affairs officials were present, it said. Al Mahmoud praised the company's efforts to quickly and professionally meet all licence requirements, which indicated its keenness to achieve excellence and quality in its export operations, it added. Dr Jawahery thanked officials at the ministry, headed by the minister, Kamal bin Ahmed, and those from the department for their cooperation in all joint procedures. He said it would be in the interest of the company to upgrade the work at the terminal. He said the licence confirms Bahrain’s keenness to implement all international requirements regarding laws on ships and ports and its commitment to have the latest procedures in place. This, he said, has contributed to maintaining its reputation in the field of management. Dr Jawahery also said GPIC having been given the licence is clear evidence of the company’s regulations and the support it has received from the board of directors. A new law that requires port users and operators of private berths to register themselves at the department was recently issued. 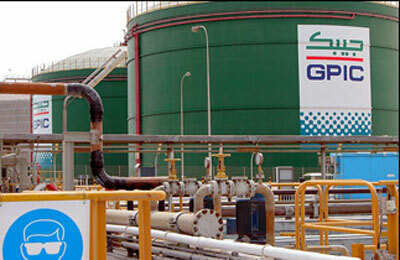 GPIC has since taken all necessary measures and initiated strict audit by external auditors. The company exports urea from its own terminal, which conforms to the highest international specifications. It manages and operates the terminal with highly trained and qualified Bahraini staff in compliance with all maritime and industrial safety requirements. The licence comes as a result of the company's compliance with the Ports and Docks Permits Act. As the regulator of the marine industry, the Department of Ports and Maritime Affairs oversees the granting of licences, registration of vessels, port operators and operations, it stated.